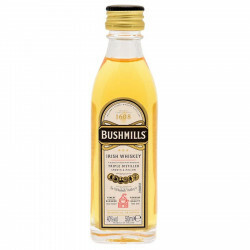 Bushmills Original is a unique in a miniature bottle, unpeated blend of more than 50% Old Busmills malt whiskey and Irish grain whiskey. 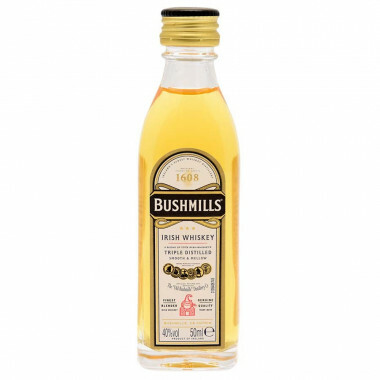 This whiskey has a beautiful golden colour thanks to the grain whiskey that has aged up to 5 years in oak casks. 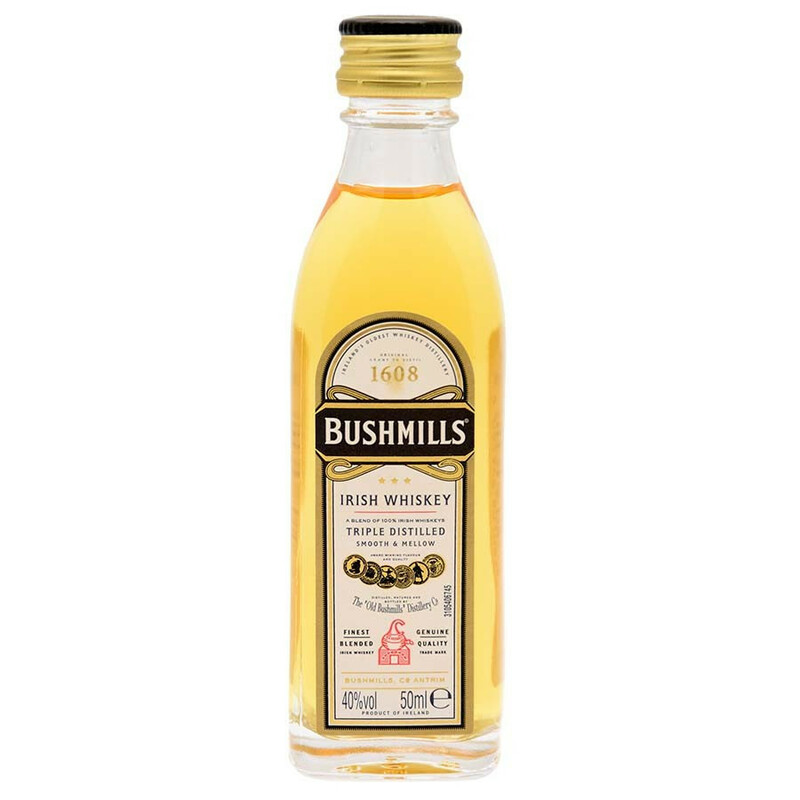 When mature, this grain whiskey is blended with a triple-distilled Single Malt whiskey that brings smoothness and balance to Bushmills Original.